Warm and cozy... cold and furry... 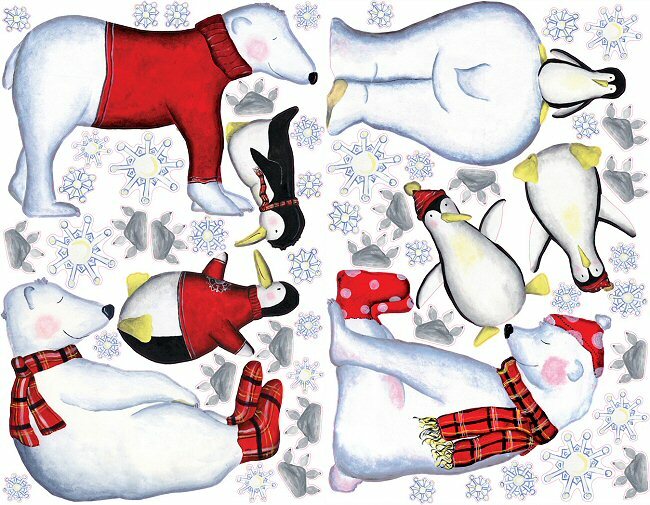 Your child will love the year-round wintery and whimsical atmosphere you create with this amazing Polar Buddies MegaPack wall decals. Packed with enough wall stickers to fill a room, including adorable polar bears, perky penguins, fun paw prints, and a myriad of fanciful snowflakes, this RoomMates MegaPack Polar Buddies peel and stick wall mural kit makes room transformation a breeze. This RoomMates MegaPack Polar Buddies peel and stick wall mural kit includes giant wall decals and a ton of small wall decals for a total room makeover! 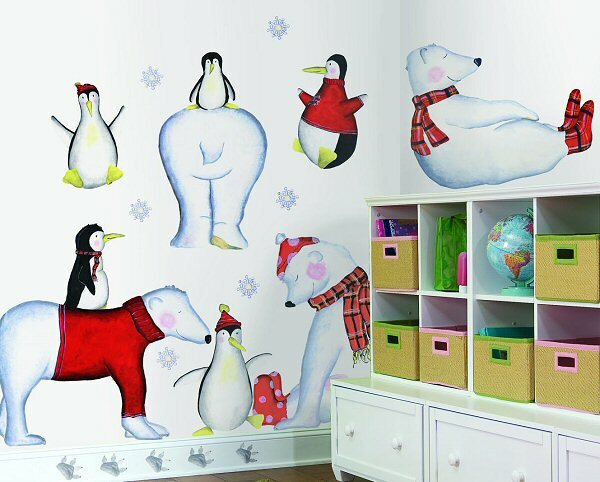 Repositionable, removable, re-usable, and washable, these Polar Buddies MegaPack wall decals are perfect for transforming a room with ease while leaving no damage or residue on the surface. Bear & Penguin 12.75" x 23"; Bear with Hat 21" x 17"; Bear Standing 24.25" x 16.25"; Bear Sitting 17.25" x 22"